Creating good content for your website or forum isn’t always about achieving high SEO rankings by using the correct or conspicuous keywords. The purpose of putting out exceptional content is to make the customers or users want to be working with you because of the quality of the content on your webpage. Creating bland and substandard content will not only depreciate the success of your brand but will also provide an insight into your poor, half-heartedperformance. Though creating good content isn’t rocket science but it still requires a great amount of time, hard work, and knowledge. 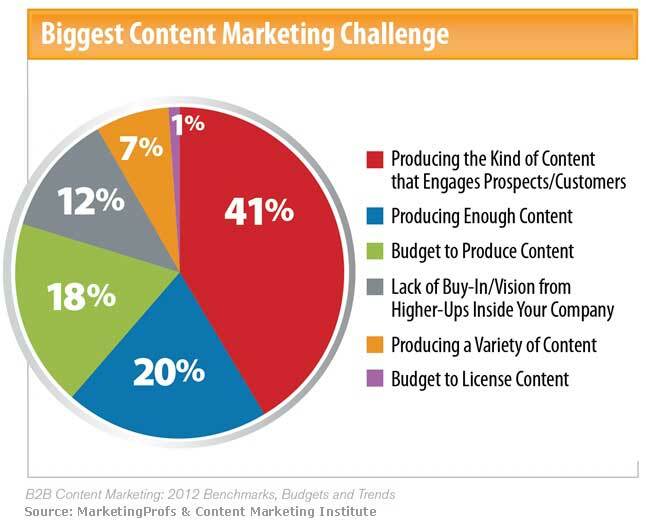 Great content is the output of bringing a perfect blend of resources, productivity, and originality to the table. The famous quote by Walter E. Disney is significantly applicable here, which reads, “Whatever you do, do it well. Do it so well that when people see you do it, they will want to come back and see you do it again, and they will want to bring others and show them how well you do what you do.” Therefore, no matter the size or popularity of your brand, whatever content you create, make sure to make it as perfect as possible. 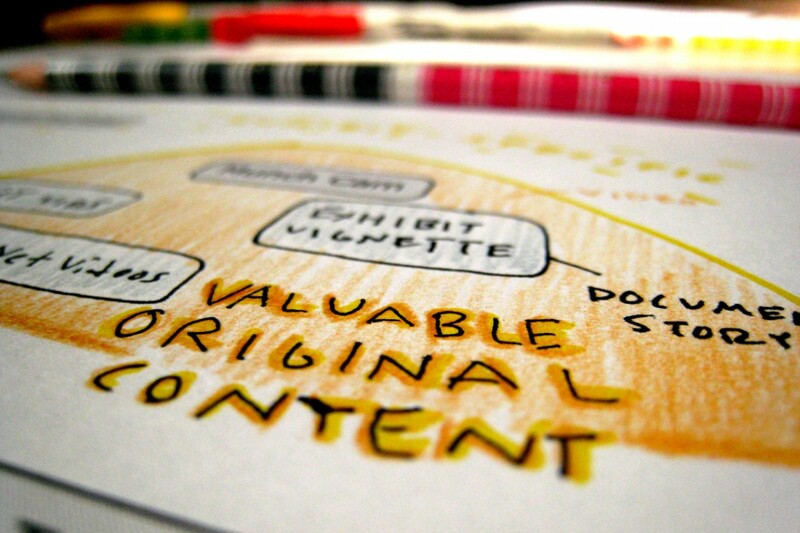 Now, let us take a look at some of the essential ingredients that constitute great content. One of the most important aspects of your content will be to sort out the reader’s mind, that is, to provide him/her with the clarity for which your content was searched for in the first place. For example, if the user is searching for steps to building a robot, he wouldn’t be interested in reading about the history of robots or the gear used, he would simply want the necessary steps to build the robot. Therefore, by practicable content, it is meant that you create content that solves the user’s query immediately and the knowledge hence gained from the content can be applied right away. One thing you have to consider when putting your content online is that the users consider the time to be an important resource. They will not be interested in reading long text-filled technical paragraphs. Using headings not only makes the content look professional but also makes it convenient for the users to read the relevant matter they were searching for. Apart from using headings and subheadings within the content, it is important to have a strong headline/title for the content. The decision whether to view the content, to be made by the user, depends wholly on the title/headline. If the title or headline proves to be catchy and is able to pique the interest of the user, only then you can focus on the other aspects of building your content. Get some tips to write the best subheadings here. In case you didn’t know, Google has devised an algorithm which detects plagiarized content on the web and hence, takes down the content from the search engine. By originality, it is meant that you should have an original thought or concept when building great content. Nobody wants to view the same content, from website to website, which differs minutely. As mentioned above, a substandard content gives an insight into the kind of work done by the organization when publishing the content. When viewing unoriginal content, the user’s mind develops an inference that the organization was more concerned on producing a particular quantity of content cheaply rather than creating high-quality content. Imagine if The Beatles never chose to write original songs and kept on playing Buddy Holly and Elvis Presley song covers, nobody would have recognized their exuberant talents. Similarly, you should create original content to create an indelible mark on your brand and help it stand out in the world. It is obvious that the content you are providing will contain technical information which has been explained in detail on some other online platform. You don’t want to be creating content that is too long or which has detailed explanations of all the elements present in the content. Therefore, it is practical that you provide source links to enable the user to read further on other online platforms rather than providing all information altogether. Providing source or information links also enhances the credibility of the data provided in the content. The user, when viewing the content, will infer that the content bears accuracy as he is provided with the proofs in the form of website source links. Most of the content available online is considered to be time-specific. That is, with the changing trends and preferences, the content has to adopt several changes as well. Why is it necessary to update your content from time to time? One, it is necessary because you do not want your content to be outdated and unusable if you want to maintain the prosperity of your brand. Suppose, if the content contains information on the features and specs of iPhone 4s when Apple, on the other hand, released iPhone 7 in the market. This will make your content antiquated and the brand will lose its viewers. Secondly, you want to keep adding to the content of the platform to assure the users of the organization’s operational system. Updated content will keep the users coming back to view newer content, therefore, enhancing the influx of viewers. The goal of publishing content online is to have an effect on the reader/viewer’s mind. That is, you want to be creating content that will actually make the users think and develop further queries or questions regarding the topics covered in your content. How do you create intriguing content? One of the foremost ways of creating engaging and thought-provoking content is to add examples or stories in the content. This will help the users understand the content better and have an effect on their thought process. Another important aspect of building intriguingly great content is to have a spot-on introduction. As mentioned before, the title determines whether or not the viewer will go through the content. Similarly, the introduction plays an enormous role in determining the fate of the article. A to-the-point introduction will enhance the curiosity of the viewer to read further into the content. Therefore, publishing intriguing and engaging content will attract a larger user base and thus, better the brand’s operational image. You have to understand that when you’re putting content online, it is meant wholly to be perceived and interpreted by the readers. You are not creating the content for yourself. Therefore, a convenient tone of communication through the content holds paramount importance in building a great viewer base. To make the viewers understand the aspects of the content better, it is important to use interactive language. Now, interactive language does not mean using unprofessional terms and sentences. It means analyzing how people will understand the data better and conveniently and further, creating content accordingly that will itself speak to the viewers. How can you communicate better with the content? One of the most preferred modes of learning is considered to be a visual presentation of the content. This not only makes the content more interesting but also enables the viewers to save time in interpreting the data provided. Visual presentation can be in the form of pictures, videos or even audio files that can facilitate the viewer’s’ process of learning/understanding. Strongly interactive content will attract more users and thus, enhance the brand’s prosperity. Keyword ‘not provided’: How to Analyze Website Traffic? © 2016 italics. All rights reserved.